After a hard week in the city I can think of nothing better than heading for the hills! Lets do it in style though by choosing one of these special hotels! Kipi Suites is an all suite, stone built boutique hotel, with cute little yards and pathways which is about to prove that the art of filoxenia still reigns strong. You can choose one of the eight, fully equipped, independent suites with ipod docks, espresso machines, jacuzzi baths, huge beds, working fireplaces and amazing views! 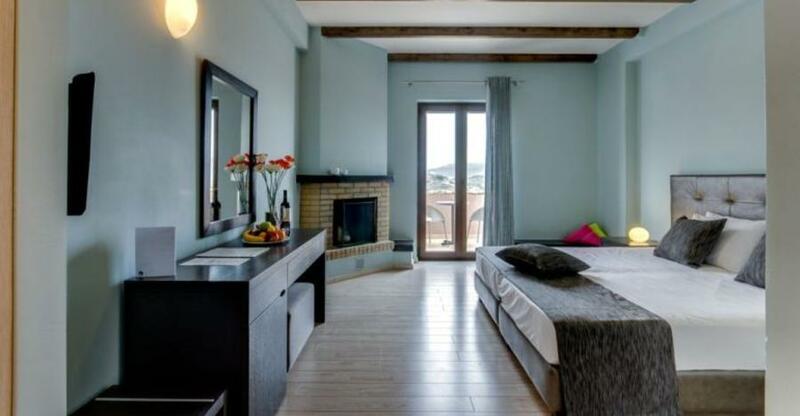 It will be hard to tear yourself from your gorgeous room but you have to experience Epirus! You can walk in two national parks, ski in three different resorts or visit picturesque Zagochoria or historical Ioannina. Your day will draw to a close next to the fireplace listening to relaxing music and joining in one of the wine tastings. That’s after you’ve eaten those famous pies in the village’s main square of course! Ananti is a welcoming city hotel with all the facilities of a resort in one of the most popular winter destinations. Built on a hill on the outskirts of Trikala city, Ananti offers a panoramic view of the Thessaly plain. 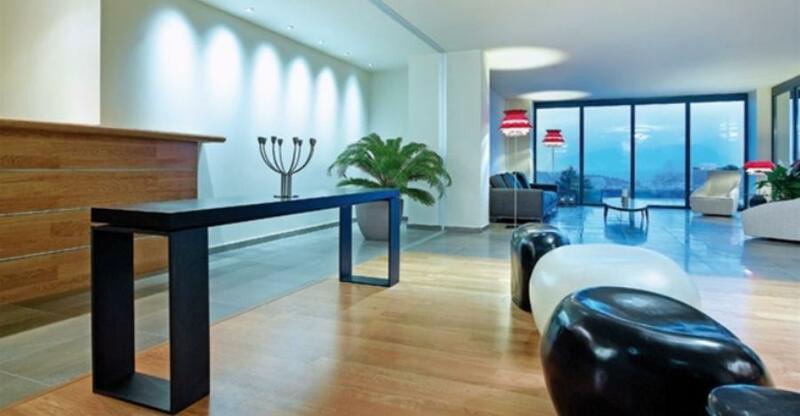 The interior is characterised by minimal, clean lines, modern design and Interni furniture. There is a very impressive outdoor pool, which seems to balance on the mountain’s edge, a conference centre and a spa with an indoor pool for those moments of pure relaxation. Having Ananti as your base, you can go on a number of excursions: Pertouli, Lake Plastira, Elati and Meteora are all a stone’s throw away. Nafplio is an ideal destination any time of year but this season with its sunny days but a little chill in the air is extra special! Perfect weather for walking to the castle or around the cute alleyways. A good accommodation option is Perivoli, a guesthouse with lovely architectural and design touches. 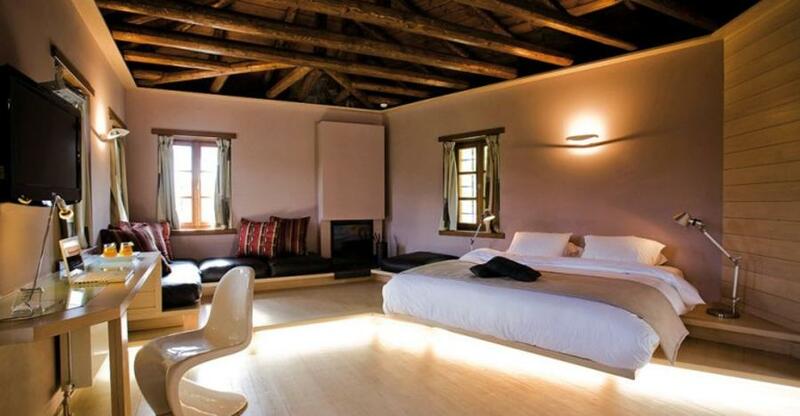 There are stone, wood and glass elements in all the hotel areas and the walls are painted a calming dusty pink. There is an impressive outdoor swimming pool and the rooms are spacious with a fireplace and a balcony, organic toiletries and soft towelling robes. After enjoying a hearty breakfast with local delicacies, you can take a walk around the hotel’s beautiful citrus grove or just chill out at the all-day lounge café. The owners are also lovely and will make sure your every need is met!